myBoulevarde Shopping Centres have shops for lease ranging in size from twenty metres squared to two thousand metres squared. So whether you’re a small business start-up or a mini-major retailer theres a good chance we've got the right space for you. myBoulevarde Shopping Centres have display space available in the heart of the Centre. These areas are ideal for Promotions, Exhibitions and Fund Raising Activities. So if you're looking to lease space on a casual basis or need the flexibility to target locations around key times in the year. Boulevarde Shopping Centres have the right option fo you. Perfect for new businesses, product launches, seasonal offers or retailers looking to trial a location before committing to a longer term agreement. The myBoulevarde group also have a number of business and property for sale. 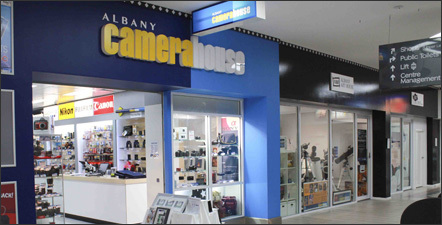 myBoulevarde Shopping Centres have Mall Media opportunities located in high trafficked areas. With a choice of either Static Wall Space or Digital Advertising Boards. We have positions available on either casual or semi-permenant basis. If you're looking for a powerful adverising opportunity Boulevarde Shopping Centres have the Mall Media opportunity for you. *Minimum 4 weeks booking, higher rates apply for shorter terms. For booking of 4 weeks or less the following rates apply.